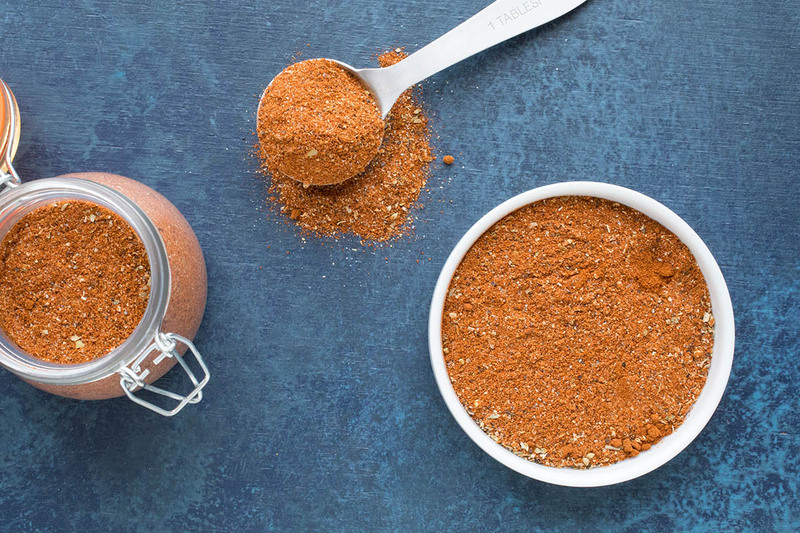 Use this recipe method to make your own homemade Cajun seasoning blend from scratch, with your own preferred ingredients. Includes an ingredient chart that you can refer to as well as an extra spicy version that I use. My very favorite seasoning blend in the world is a good Cajun seasoning. 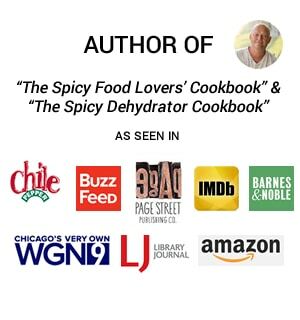 If you scroll through the recipes on this site, as well as thumb through the several cookbooks I’ve written, you’ll find “Cajun Seasonings” in the ingredients quite often. 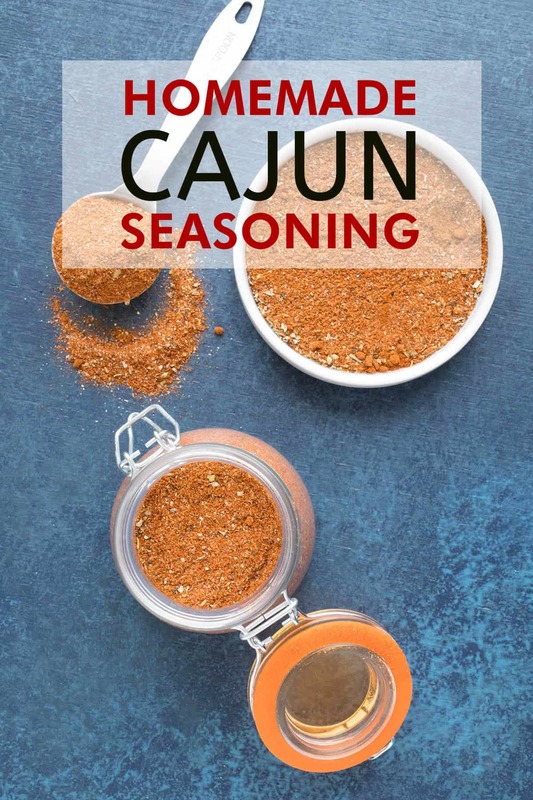 Cajun seasonings are typically a blend of specific chili powders along with garlic, onion, salt and a potential slew of other ingredients, like dried herbs and spices. That is the beauty of it, really. No two people make it exactly the same, though you WILL find many commonalities. Cajun seasoning came about with southern Cajun cooking, as the Cajuns would eat a lot of game meat, including swamp critters that had some pretty tough flavor. They would highly season their food with bold ingredients, to make it more palatable. This is why I LOVE a good Cajun blend. BOLD! 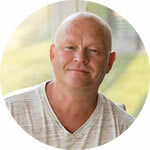 When I was in New Orleans, I spoke to numerous chefs and cooks about the specifics of Cajun and Creole cooking, including how to make a proper roux, dining all over, as well as making Cajun and Creole seasonings. See My Foodie Trip to New Orleans to learn more about that. That isn’t to say you can toss ANYTHING in. I mean, Chinese 5 Spice is good stuff, but it really doesn’t have a home in making a Cajun seasoning blend. One chef said she was getting ready to market her own Cajun seasoning, which included dried lemon peel. Nice! I don’t believe I’ve had a Cajun seasoning with lemon in it, but I’d sure give it a try. Regardless, it’s better than any store bought spice mix. I did poll a number of cooks in New Orleans,as well as searched the web and found numerous Cajun seasoning recipes, though the common ingredients to ALL of these recipes include the following ingredients: Paprika, Oregano, Salt and Pepper. The next most common is Cayenne. After that we have Garlic Powder, Onion Powder, Thyme, and then the ingredients start to thin out from person to person and include Cumin, Coriander, White Pepper, Basil and Celery Salt. 1 tablespoon dried leaf oregano. That said, it doesn’t mean you can’t include other ingredients, such as dried lemon peel, to make your Cajun seasoning special. It’s what I call “The Secret Ingredient” factor. Do I have a secret ingredient? Sure! I’ll even tell you what it is. Yep. 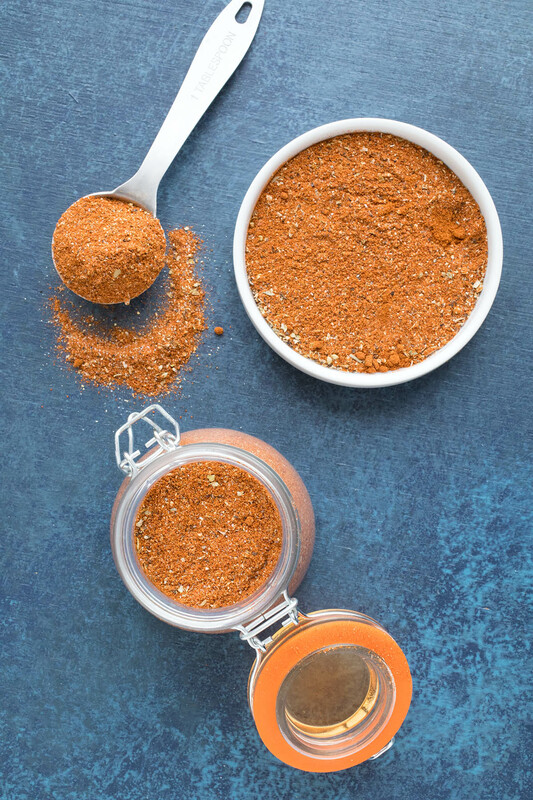 I will share my preferred Homemade Cajun Seasoning blend below, but I like to include either ghost powder or some superhot powder, such as 7 Pot Chili Powder, to bring in some extra heat. I grow my own peppers in the garden here specifically for drying. I’ll dehydrate them, grind them down, then make my own seasoning blends, such as Cajun Seasoning. 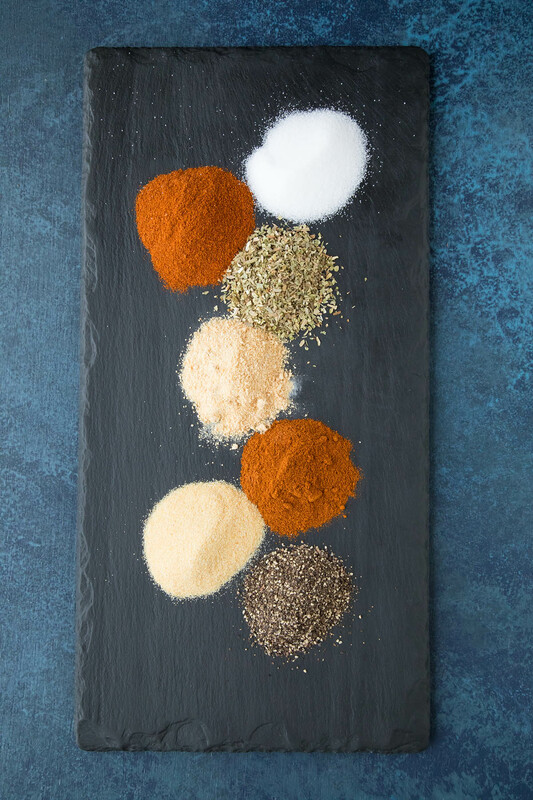 It’s the perfect spice blend. Essential for Cajun cuisine. 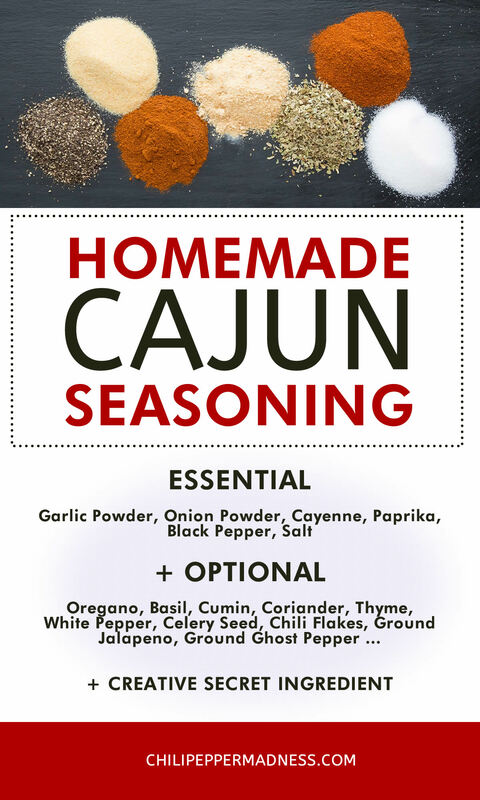 I’ve created a graphic that you can refer to for making your own Cajun Seasoning blend. Let’s take a look at some of the common spices. Simply measure out and combine your ingredients in a small bowl. Sift them together until they are well mixed. You now have your own Cajun Seasoning blend. Easy enough, right? Of course use it while cooking and adjust from there. Not enough heat? Add more cayenne pepper. Or ghost powder! Want smokiness? Add smoked paprika. Need more salt? Add it in. Here is a general recipe to get you started. 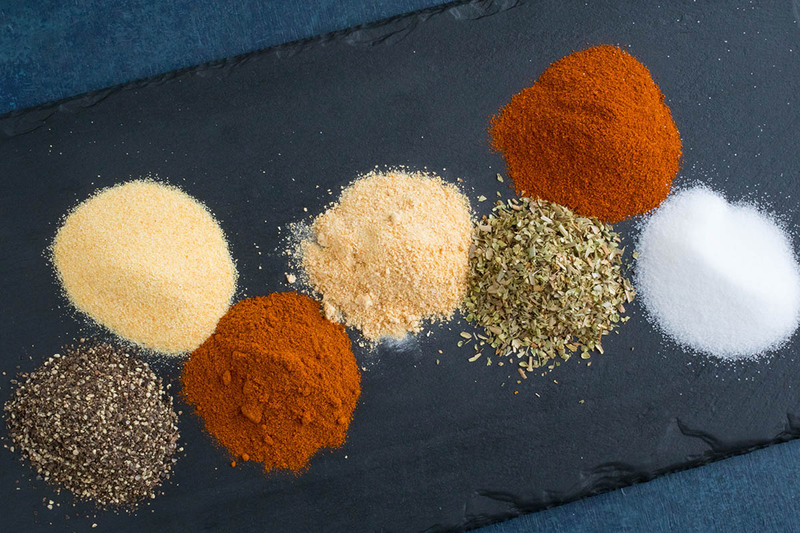 Use this recipe method to make your own Cajun seasoning blend at home from scratch, with your own preferred ingredients. Includes an ingredient chart that you can refer to. 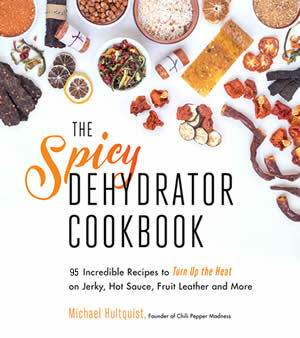 Cumin coriander, thyme, white pepper, dried basil, celery seed, dried jalapeno powder, superhot powder, smoked chili powder, etc. Mix all the ingredients together until well combined. Store in airtight containers. This isn’t very different from above, but I do play with the ratios and introduce a few other ingredients. I like to keep it simple and delicious. You can easily adjust the heat by omitting the ghost powder and using a different chili powder. I keep mine in small glass jars and keep them sealed. I store them in a dark cupboard. It will keep your spice mixture longer. How Long Does Cajun Seasoning Last? Your Cajun seasoning will say fresh for 3 months, and will then begin to lose some potency. I easily keep mine for up to a year. It is better to make smaller batches as you need them, depending on how often you use them and cook with them. Have fun making your own Cajun blend! The keys are, first, experiment and taste. Second: Have FUN! Repeat! Let me know how yours turns out, and what secret ingredients makes yours stand out! I look forward to hearing from you. 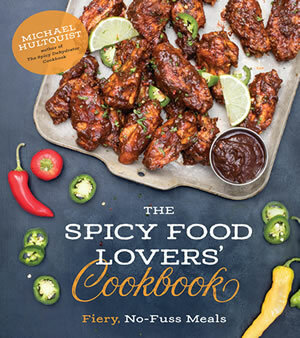 — Mike Hultquist – Author of “The Spicy Dehydrator Cookbook” and “The Spicy Food Lovers’ Cookbook“. I made this exactly, but with a touch more ghost pepper, for my brother as a gift. He said it was the best Cajun seasoning he ever tried. Now I have to make more. Haha, thanks, Mabel. Glad he loved it! Love this recipe. I use it all the time. Thanks, Jeff! Yes, I like a spicier version as well, as you can see.